Sharon brings more than 20 years of experience in early childhood care, health and education working with national and state early childhood initiatives dedicated to addressing issues of equity and access. She has participated in multiple cross-sector collaborations focusing on early childhood systems enhancement, research and evaluation, child development, evidence-based practices, and family engagement. 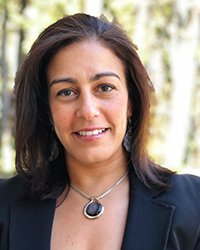 Ms. Loza currently serves as a Consultant with the North Carolina Early Learning Network (NC ELN) and Research Investigator with the NC Preschool Development Grant Statewide Birth to Five Needs Assessment at the Frank Porter Graham Child Development Institute (FPG). Prior to her work at FPG, she served as the Data Manger and Lead for the North Carolina Infant-Toddler Program State Systemic Improvement Plan with the North Carolina Infant-Toddler Program. She also worked with the NC Race to the Top – Early Learning Challenge grant, as an Implementation Specialist supporting systems building work and also helped lead statewide initiatives around early childhood workforce development, system transformation and policy efforts to improve early childhood mental health. She holds a MEd in Early Intervention and Family Support from the University of North Carolina at Chapel Hill, a MA in Liberal Studies from the University of North Carolina at Greensboro and is currently pursuing her PhD in at North Carolina State University in the Department of Educational Leadership, Policy, and Human Development. 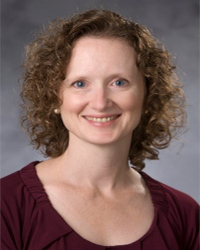 Karen Appleyard Carmody, Ph.D., LCSW, is a licensed psychologist and assistant professor at the Center for Child and Family Health (CCFH) in the Department of Psychiatry and Behavioral Sciences at Duke University Medical Center. For over 20 years, her clinical and research focus has been in the areas of infant mental health, child-parent attachment, early childhood trauma and maltreatment, and evidence-based practices to address these issues. Dr. Carmody helps direct two evidence-based home visiting and child maltreatment prevention programs at CCFH, the Healthy Families Durham program and Durham Early Head Start Home-Based program. She also is engaged in several program evaluation and dissemination projects for evidence-based practices for young children who have experienced trauma and early adversity, including Attachment and Biobehavioral Catch-up (ABC) and Parent-Child Interaction Therapy (PCIT). Catherine Joyner is the Project Director for North Carolina Essentials for Childhood located in the Women’s and Children’s Health Section of the North Carolina Division of Public Health. North Carolina Essentials for Childhood is a five year CDC funded initiative. In this role, she facilitates public efforts for the integration of child maltreatment prevention into existing public programming and works in collaboration with Prevent Child Abuse North Carolina to oversee implementation of recommendations from the NC Institute of Medicine Task Force on Essentials for Childhood. Prior to join the NC Division of Public Health, Catherine was a social work educator, teaching child welfare and practice courses and directing field education. She also served as the Assistant Director and co-investigator for the WSSU Grandparenting Program and was the faculty evaluator for the Forsyth County Juvenile Drug Treatment Court. Over the past 20 years she has provided public and private child welfare services as direct practice social worker, clinician, supervisor, and administrator. She received a Master of Social Work degree from East Carolina University. Paul Lanier, MSW, PhD is an Assistant Professor at the University of North Carolina at Chapel Hill School of Social Work, where he teaches courses in social policy and program evaluation. 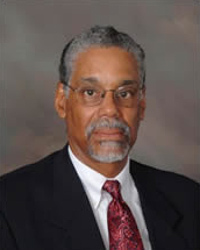 Dr. Lanier received his doctoral degree from the Brown School at Washington University in St. Louis. He was selected as a fellow with the national Doris Duke Fellowship for the Promotion of Child Well-Being, and was a NIMH T32 fellow at the Center for Mental Health Services Research. His research focuses on developing, evaluating, and scaling-up evidence-based prevention programs in child welfare, mental health, and early childhood systems. His recent work has involved engaging and supporting low-income families with young children, particularly new fathers. For this line of research, he recently completed a federally-funded quasi-experimental trial of a peer support group for fathers of children in Head Start. He was also recently an investigator on the first randomized controlled trial implementing Triple P in the child welfare system. His current work focuses on family engagement in evidence-based home visiting programs. In addition to his focus on intervention research, Dr. Lanier also uses linked, multi-sector administrative data for policy analysis of child welfare and health systems serving vulnerable populations. Paul lives in Chapel Hill and has two young Tar Heels. Ennis is the Project Director for Duke’s Center for Child & Family Policy’s Building Capacity for Trauma-Informed Infant & Toddler Care: A Professional Development Framework project. In this role, Ennis provides leadership for this new collaborative project that will leverage existing resources to craft a professional development framework focused on trauma-informed practice in infant/toddler care. The framework will be designed to be practical, evidence-based, sustainable and maximally effective for children under 3 in licensed child care in North Carolina and the teachers and child care administrators who care for them. Ennis also serves as the Interim Training Director for El Futuro’s statewide La Mesita Mental Health Provider Network. Ennis is a licensed clinical social worker, specializing in early childhood mental health and has served in a variety of roles serving vulnerable children ages birth to 5 and their families. She began her career as a toddler teacher in San Francisco’s Bayview/Hunter’s Point neighborhood in 1988 and since 1990 has lived and worked in various counties in North Carolina focusing on children under 5 as a child care provider, home visitor, program director and on a multidisciplinary evaluation team. From 1999-2018, Ennis served as a manager and mental health specialist for Orange County Head Start/Early Head Start in Chapel Hill, NC. In this role, she provided leadership and early childhood mental health consultation to program staff and families around issues of toxic stress, child abuse & neglect, best practice in infant/toddler child care, parenting, preventing and managing children’s challenging behavior, adult & child mental health and strengthening families by promoting protective factors. Ennis is trained as a facilitator/parent educator in Triple P Level 3, Incredible Years Parenting Program, Circle of Security Parenting and Darkness to Light/Stewards of Children. She has co-chaired the Orange/Chatham Early Childhood Mental Health Task Force since 2012 and co-led the Orange RESILIENCE Initiative since 2017. Libby is a collaborative leader with a career history in both health care planning and administration and change initiatives across the non-profit sector. 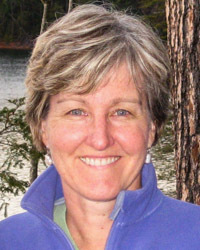 After completing a Master’s Degree in Community Systems Planning and Development, she worked for 18 years at the University of Vermont Medical Center in Burlington, VT. She and her family moved to NC in 1998 at which time she shifted her focus to community-based project work, including nearly a decade with The Lee Institute, serving as a facilitator and project manager for dozens of non-profits and government agencies. Libby retired from The Lee Institute in 2013 to enjoy a range of new adventures personally and professionally, including selective work as an independent contractor, service on non-profit boards and enjoying her grandchildren. 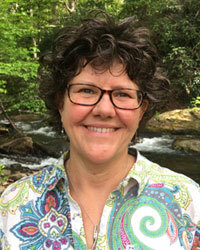 Ginger Clough, is a Public Health Nurse at Buncombe County Health &ammp; Human Services in Asheville, NC, a graduate student at UNC-CH Gillings Global School of Public Health and founding member of Resources for Resilience non-profit. She has worked in Maternal-Child Health Public Health Programs for 20+ years. Ginger teaches resiliency practices through Resources for Resilience and promotes resiliency-informed programs for maternal-child health services. She is a certified trainer in the Nurturing the Brain Model and Facilitator for Circle of Security Parenting Program. Ginger serves on the Nurse-Family Partnership National Innovation Advisory Committee and the Buncombe ACEs Collaborative. Practicing and teaching resiliency skills, as well as studying and teaching about attachment, has deepened Ginger’s holistic nursing approach and has enhanced her ability to bridge theory and recent findings in attachment, neuro-development, neuroplasticity, and affect regulation to support parents to be the best parent they can be for their child. Ginger promotes resilience-informed practices as a tool for change at the individual, community and organizational level, emphasizing how trauma-informed and resilience-focused care and collaboration create a more just society thriving with health, economic and environmental equity for all. Ginger has a deep love of nature, reading, potlucks, gardening, & bee keeping. Ginger and her family live beside Bee Tree Creek in Swannanoa, NC. 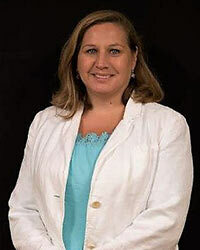 Dr. Irina Falls, Associate Professor, University of North Carolina at Pembroke. 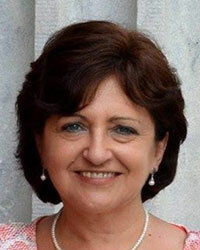 Dr. Irina Falls, Associate Professor and Program Coordinator of the Birth-Kindergarten Teacher Education Program in the School of Education at University of North Carolina at Pembroke, has started her professional career as Child Clinical Psychologist in Bucharest, Romania. She came to the US as a Fulbright scholar interested in the care and education of young children with disabilities. She got her PH.D. in Special Education from the University of North Carolina at Chapel Hill with emphasis in inclusive early childhood education. Dr. Falls was research scientist at Carolina Institute for Developmental Disabilities and at the Frank Porter Graham Child Development Institute before becoming faculty in the School of Education at UNC Pembroke. Initial research interests were related to operationalizing the “school readiness” concept for preschoolers with disabilities. Later she became interested in studying resilience in beginning teachers and the role of mobile technology as a protection factor, with the ability to predict the retention and effectiveness of beginning teachers in rural schools. 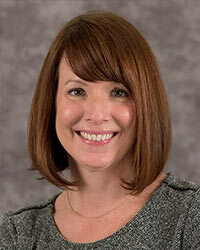 Her current research focuses on pre-service and in-service preparation of teachers serving young children. Dr. Falls has published and presented at several national and international conferences on strategies for improving online team work, on factors affecting teachers’ perceived self-efficacy, on the role of mobile technology in teacher retention and effectiveness, and on implementing the Japanese Lesson Study model of professional development in US schools. 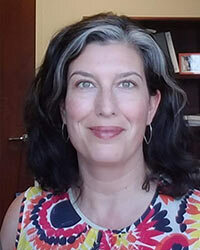 Melissa L. Godwin, LCSW is a clinical social worker who has a Clinical Assistant Professor appointment at UNC Chapel Hill School of Social Work. She has provided women’s gender responsive substance use disorder services technical assistance and training in North Carolina since 2004, under a contract with the North Carolina NC Division of Mental Health, Developmental Disabilities and Substance Abuse Services. Her current role includes serving as the Work First/Child Protective Services Substance Use Initiative Coordinator, the NC Pregnancy and Opioid Exposure Project lead, and member of the UNC Extension for Community Healthcare Outcomes for Rural Primary Care Medication-Assisted Treatment (UNC ECHO for MAT) expert team. Ms. Godwin obtained her Bachelor of University Studies at the University of New Mexico in Albuquerque and her Masters in Clinical Social Work from Boston University. Karen McKnight is the Director of the Head Start Collaboration Office (HSCO) in the Office of Early Learning (OEL) at the at the NC Department of Public Instruction (DPI). DPI is the state education agency and the OEL focuses on Pre-K – Grade 3 to support children’s success in the early grades. The Office of Early Learning combines the Department’s staffs in primary education and prekindergarten and promotes other linkages for reforming early education for North Carolina’s children. Along with the Head Start Collaboration Office, OEL houses Preschool Exceptional Children and Early Learning Sensory Support, Title 1 Preschool and K-3 Formative Assessment. The HSCO acts as a liaison between federally funded Head Start programs and other entities in the state that serve low income children and their families. North Carolina is home to 53 grantees responsible for serving 17,845 children in Head Start and 4,214 children in Early Head Start. 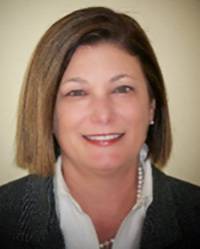 Currently, much of her work focuses on building Head Start collaborations leveraging the Every Student Succeeds Act; supporting transitions and continuity through alignment and coordination along the birth to grade three continuum; and developing a trauma informed early care and education system to support the early childhood workforce along with children and families. Ms. McKnight started her career as a preschool special education teacher and, prior to her state role, served as Disability Services Manager for Migrant Head Start for 13 years. Ralph Mitchell, Chairman of Board and founder of Nehemiah-The Leadership Company, is a highly sought-after speaker and trainer who is meriting recognition in the areas of motivation, coaching and goal setting. Ralph Mitchell’s background from research associate at MDC, Inc. in Chapel Hill, North Carolina to senior consultant Public Administration Program at North Carolina Central University in Durham provides him with organizational insight. He held a position of senior faculty member at the Center for Creative Leadership for 15 years. 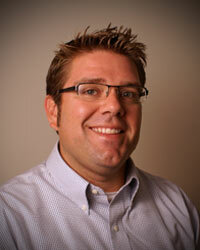 His focus is on leadership, personal, and professional development and related topics. He is a member of the American Society for Training and Development and The National Speakers Association. Chris is Director of the Center for Youth, Family, and Community Partnerships at UNC Greensboro where she is a Research Professor and adjunct graduate faculty in the department of Human Development and Family Studies. She holds a Ph.D. in Child Development and Family Relations with a minor in Educational Administration. Her work focuses on both intervention and prevention-based programs for vulnerable children and families which stress parenting, community partnerships, and school readiness. She has developed and directed model school-based programs for children, trained birth-kindergarten teachers, and provided professional development, training, and coding focusing on parent-child, teacher-child, and whole family interactions, including the New Zealand Family Study. She has served as Co-PI of the NICHD Study of Early Child Care and Youth Development and had numerous other grants including from ACF, SAMHSA, OPA, and NICHD. Marnie Reber is the Director of Family Support Services for the Iredell County Partnership for Young Children. She has been a Parent Educator for 16 years and has worked with families in her native state of Ohio and in North Carolina. She is a graduate of the University of Cincinnati. In her capacity with the Iredell Smart Start agency she works with Parent Educators and Education Specialists to inform parents and providers of the importance of healthy child and family development. 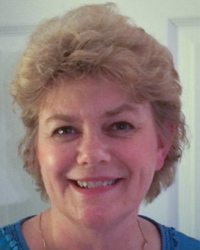 Marnie oversees the Parents as Teachers, Parent-Child Playgroups, and Dolly Parton’s Imagination Library program. In addition to the NCIMHA Board of Directors, she has co-chaired the Local Interagency Coordinating Council, facilitates the Parents as Teachers Advisory Board and serves with the Iredell County Partners Behavioral Collaborative. Marnie received her M.Ed. from the University of North Carolina at Wilmington in Leadership, Advocacy, and Policy. She and her husband live in Mooresville, North Carolina. Tina Saunooke is a member of the Eastern Band of Cherokee Indians and lives in Cherokee, NC also known as the Qualla Boundary. Tina has over 23 years of experience in the Child and Family Service Field. She has served as Early Head Start/Head Start Manager and Director for 9 years. Assisted with the design and implementation of the first Cherokee speaking classrooms for infants/toddlers and Preschool children on the Boundary. Tina has collaborated with local mental health provider program, Analenisgi (New Beginnings) and developed an infant/toddler mental health plan under Region IX AI/AN. Currently, EBCI Qualla Boundary HS/EHS program is a pilot site selected by SAMSHA Infant Early Childhood Mental Health Consultation project. Tina has served the Safe Babies Program for the maltreatment of infants and toddlers Court Team from 2009 to 2014 under Zero To Three and the EBCI Public Health and Human Services program. Tina has 2 sons and an adorable grandson, 2 dogs, and 1 buffalo whose name is Baby, (sometimes counts the 2 horses). 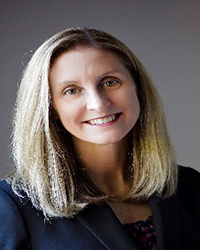 Jodi Whiteman, Senior Advisor, with the Public Consulting Group, has over 20 years of experience in the early childhood field working within early care and education, early intervention, infant and early childhood mental health and child welfare systems. Prior to joining PCG, Ms. Whiteman co-directed the Professional Development and Workforce Innovations department at ZERO TO THREE. In this position Ms. Whiteman was responsible for advancing ZERO TO THREE’ s capacity to offer high quality professional development and technical assistance services to the early childhood field. 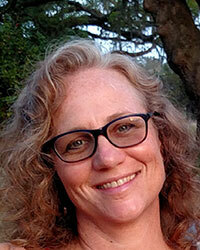 Ms. Whiteman has a wealth of experience providing early childhood systems support nationally and internationally. She has authored/co-authored numerous professional articles, guides and curriculums on a variety of early childhood topics including ZERO TO THREE’s The Growing Brain from Birth to Five Years Old: A Curriculum for Early Childhood Providers, Knowledge and Know-How: Nurturing Child Well-Being online lessons and Caring Conversations Café Model Facilitator Guide. 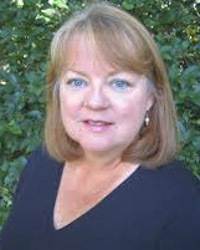 Her past experiences as adjunct faculty at the Graduate School of Education at George Mason University, a bi-lingual speech/language therapist assistant, an infant/toddler child care director, an early intervention service coordinator and specialist, and a certified educator of infant massage informs her work and passion for supporting very young children and families. She holds a B.S. in Speech and Hearing Sciences from the University of Arizona and a M.Ed., in Curriculum and Instruction from George Mason University. In her current role as a senior advisor, Jodi, provides industry knowledge to lead and assist in strategic planning and product/service line development. She provides subject matter expertise on a range of early childhood topics and leads research, speaking engagements and service offerings nationally and internationally.